Being on an airplane nearly every week for the last year has somewhat numbed me to the miracle of flight. Commercial airlines have figuratively made the world a much smaller, and more obtainable place. The opportunity of creating new relationships and experiences are increased exponentially because of our ability to understand flight. As I travel for work quite frequently, I often have to step back and view the act existentially as to remind myself of what I’ve been able to accomplish with the help of those winged metal tubes. Arriving home Thursday after a 4 day stint in Tucson, Arizona, I had one day to catch up on work, and gather my camera gear, as I had made the decision to make my way Northeast on Friday night. 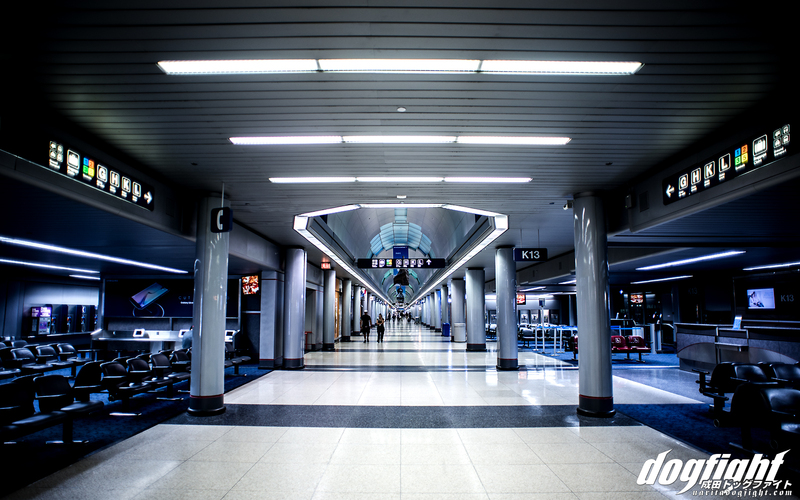 Upon deplaning my initial thought was, ‘I could probably pass some time exploring ORD in search of some geometrical architecture to photograph’ (strange thought, I know). So, shouldering my 50 pound backpack (I had initially planned on camping at the track), I took off toward the restroom to relieve myself so I could think a little more clear. I hesitated as I passed a Dunkin’ Donuts that was open at midnight for some reason, thinking I would ultimately end up being asleep within the hour; a cup of coffee would be detrimental to that theory. Boy was I wrong though. In my feeble attempts at exploration, I somehow managed to trap myself outside of security; ‘rookie mistake’ some may say (one did say). Not sure why, but I figured that the terminals would connect inside security similar to DFW. Well, they don’t and as a result I was forced to bide my time sitting on the floor of a pedestrian walkway in between the airport and the Hilton. Ironically, I have more than enough Hilton Hhonors (that’s not a typo) points to get a free room, but I’d rather save them, plus I was trying to make the trip for under $20 (I figured I’d have to count what the cost of the room would be. However, in hindsight, I’m not counting the flight cost so that logic isn’t consistent. Also, the two breakfasts I were to purchase that weekend were over $20 so whatever…also the Bud Light). Security didn’t open until 4am, so around 330 I made my way back to the departures level. I stood in the security line for a good 20 minutes despite being one of the first in line. Of course there was an issue with my boarding pass because, although my flight was that morning, the pass was issued on Friday. Not wanting to have to wait in line again, my career-honed instincts kicked in and I was successful in convincing the TSA agent to let me through, to which he replied, ‘I don’t know why anyone would want to go to Green Bay anyway’, in a sort of feeble attempt at admitting his error. I’ve never been to Green Bay, so I wouldn’t know if his remark holds any merit. I guess I would find out soon enough. Once through security, I took a seat in a somewhat secluded area and dozed off to sleep, neck crooked onto my pack. I woke up around 730, and groggily made my way to the new gate. I sat down and immediately noticed the demographic around me; older, larger, and fashionably in the past. I overheard conversations among the passengers, retired ladies rehashing old stories of growing up in Wisconsin in-between uncontrollable bouts of coughing. Maybe that TSA agent was on to something. I let Cody (who was picking me up at the airport after I arrived) know I was on my way, told the captain to floor it, and before I could fall asleep we were on final for GRB. I was waiting outside of the terminal for a few minutes when Cody pulled up in a GS belonging to a friend who made the drive from Boise, Idaho with. Many thanks to both of them, because without a ride I wasn’t really sure how I would make the 30 mile trip West to Shawano. 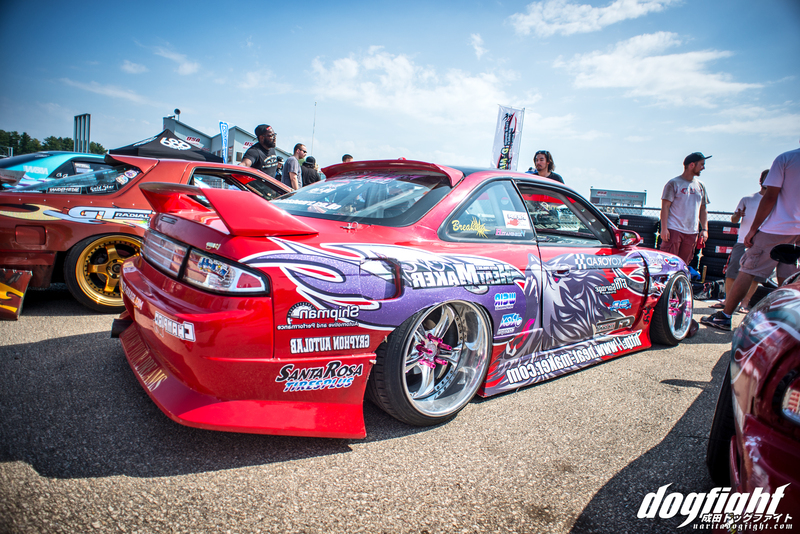 We chit chatted about last year’s event on the rural drive to the track, as I wasn’t really sure what to expect. 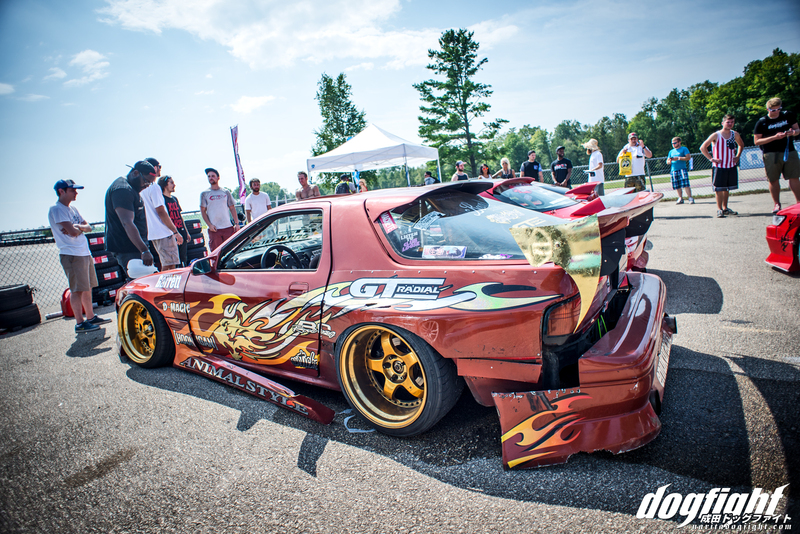 I’ve only really been to drift events in Japan, and in all honesty it seems like the US is severely lacking in similarity. Knowing the people involved in organizing this event though, I had high hopes. 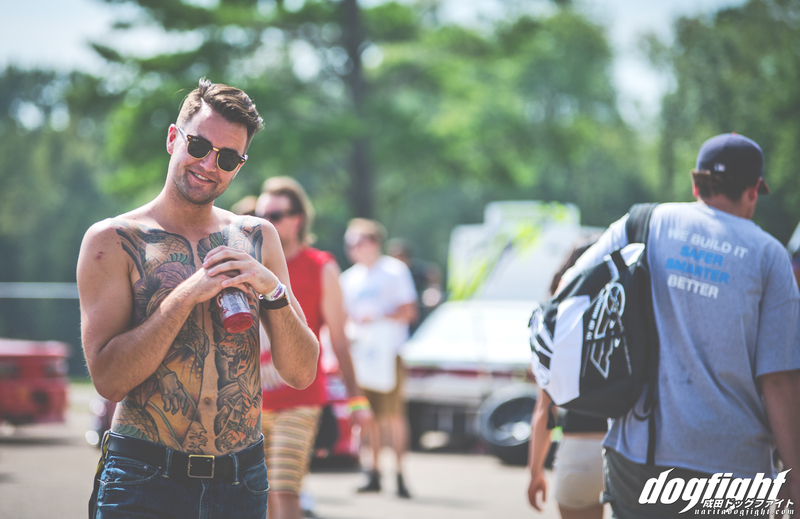 We pulled up to the track and while Cody parked I waited in line to get my wristband. I was still rather exhausted from not sleeping the previous night, and somehow, in the already heavy, warm air, mixed in with the distant sound of squealing tires, I actually managed to doze off standing in line. When I came to, Oliver and Mitch were walking towards me. I suppose now would be an appropriate time to break down the significance, in my opinion, of community backed events like this. Oliver Flower and Mitch Syer are two good friends of mine. I’ve never met them in person, but I talk to them regularly. Like many people I meet in this growing bubble of ours, I met them initially through mutual friends or because they have visited the site. We share a common interest, and are generally very open-minded, easy going people. The internet is somewhat of a double-edged sword in regards to what it can achieve; the duller side being that the opportunity to get to know great people around the world is significantly more profound; which on the surface is an amazing thing (or is that the sharper side?). 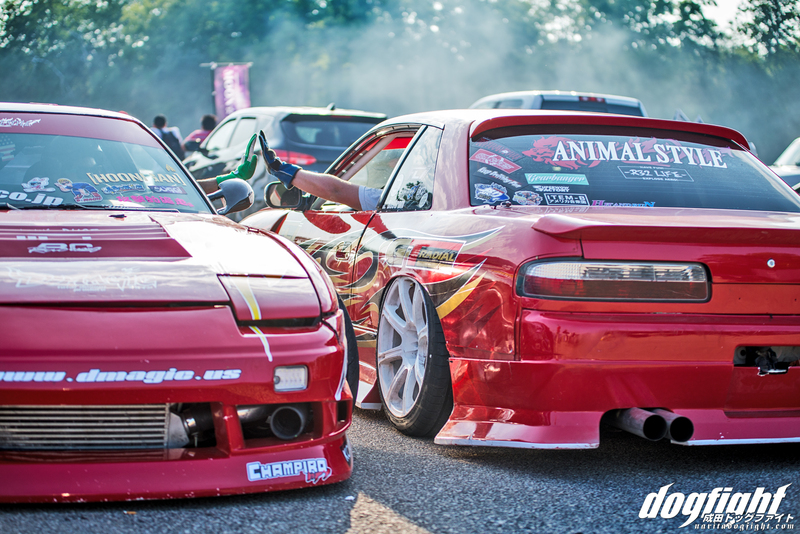 However, it’s events like Final Bout that bring those people together. Despite the event being held in one of the smallest town’s I’ve stepped foot in (and I’ve been in many a small town), Final Bout draws enthusiasts from all over the world – and that’s not an exaggeration! Consider this: Japan is roughly the size of California. 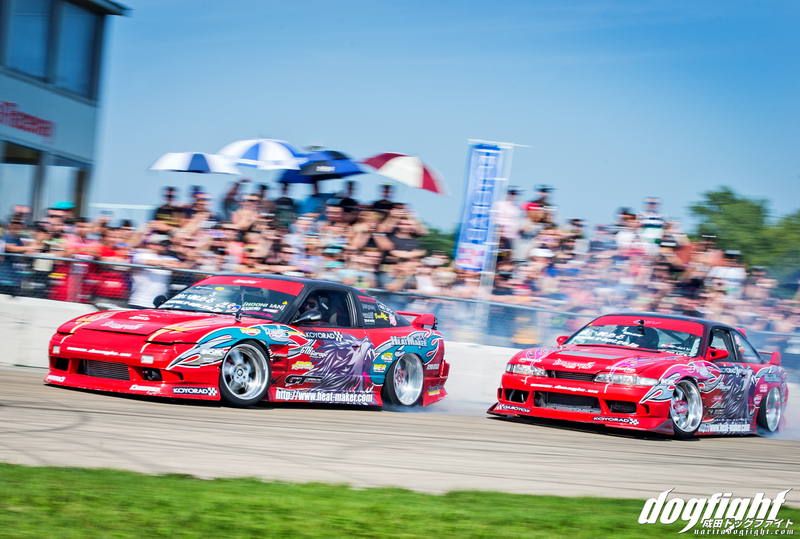 Using my knowledge of drift events in Japan, most drivers would make a trek of 3-4+ hours to attend a significant event; perhaps 8 or so if you were traveling from Fukuoka northbound, or Hokkaido southbound. 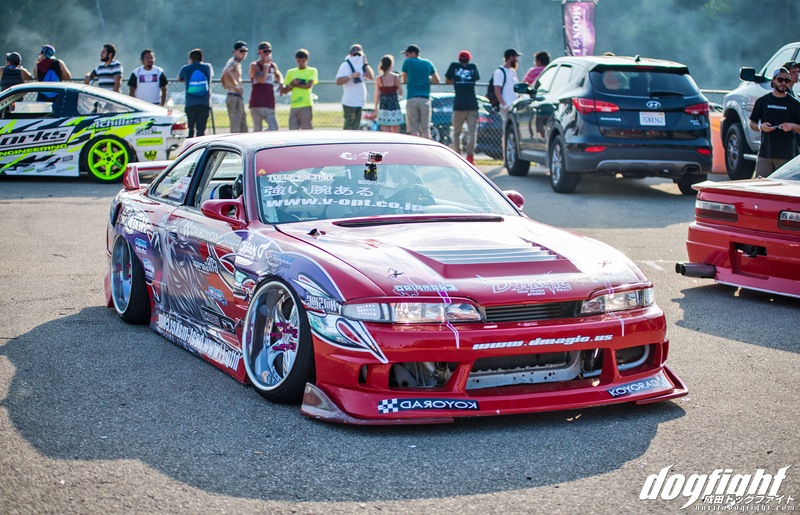 For the most part you can have a full, local event in Chiba (Mobara) and have a paddock full of good looking cars. Regardless, we often times compare North American events to those of Japan, but that comparison is not at all accurate. Keep in mind the size and density we’re dealing with in the states. 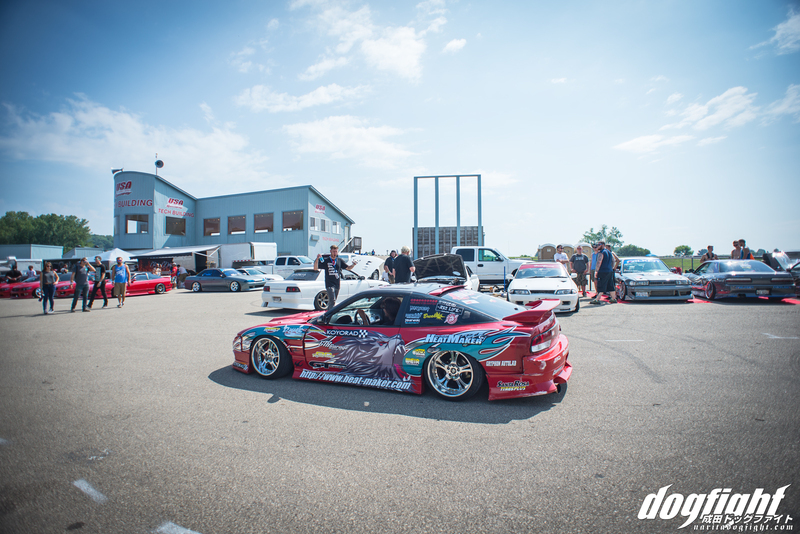 The United States is huge, and as a result, we have drift teams from all over the country traveling 25+ hours to the Mideast. That takes dedication, and that dedication is only found in individuals who care deeply about how things should be done. To add to that, this doesn’t just apply to drivers. Fans and those who believe in a certain way of motor sport show considerable support by traveling across continents to attend such an event. As a result, we have Final Bout; an event that achieves a showing similar to that of Japan, in spite of contending with a land mass nearly 26 times as large! That’s a geographical feat in itself. Oli and Mitch are just one example of this draw and I was more than happy to finally meet them in person. We exchanged our hellos and, as expected, it’s as if I’ve been hanging out with them for the past two years. We conversed together while the line slowly got shorter and I was able to get my two day wrist band. Just going to throw this in here now, I was also able to meet (among the other 3 dozen other incredible people) Killian a.k.a. Ireland’s King of the 86, who flew in for the event as well. He’s touring the states a bit as he and his lovely girlfriend, Aisling, make their way West to California (look forward to seeing again…cough cough). A few more integral people involved in the event; the judges! Again, like minded individuals who share not only a vast knowledge of the sport and it’s history, but also the ability to agree on what’s considered appropriate to the event; not to mention they’re all great drivers. 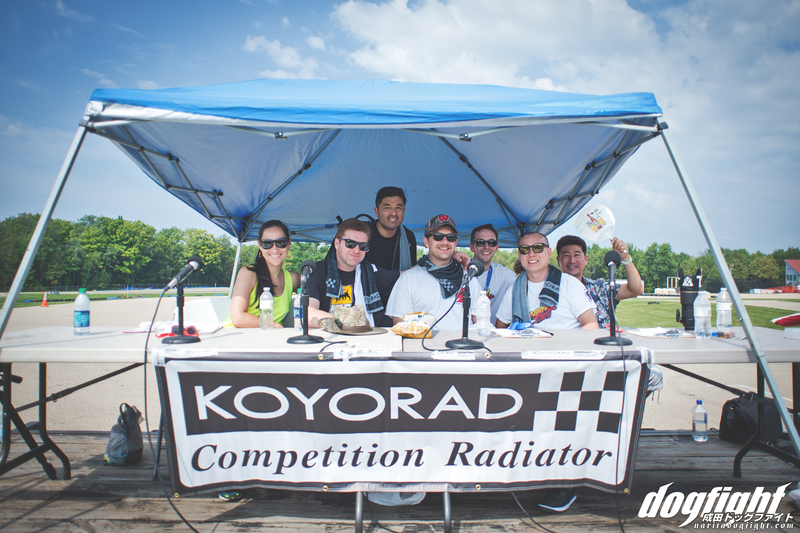 From left to right we have; Nadine, who served as the announcer all weekend, Slide Squad Mark, behind him is Scott from Koyorad (one of the title sponsors), then BH, behind him Rob, up front Benson, and in the back there we have Fred. Not all judges, but all important to the success of not only the event, but the continuation of the sport in this capacity. I could literally just sit here and type the names of people I had the chance to meet for the first time, and some for the second or third, and the many people behind Final Bout, like those at Club FR, everyone at Touge Factory, the guys in Proceed, etc…but it’s quite hot in my apartment. So let’s get to some coverage ya? These won’t be in any specific order; I actually shot most of these on Saturday, and took Sunday to relax, enjoy myself and talk with people. John, Gary and Chuck of Team Realize made it out for the first time and I was pretty pumped about it. Being our ‘home team’ so to speak, I was rootin’ for them all day. John’s IS had some pretty bad luck though, and the two 13’s ended up pretty banged up as well, but I know they had a good time. 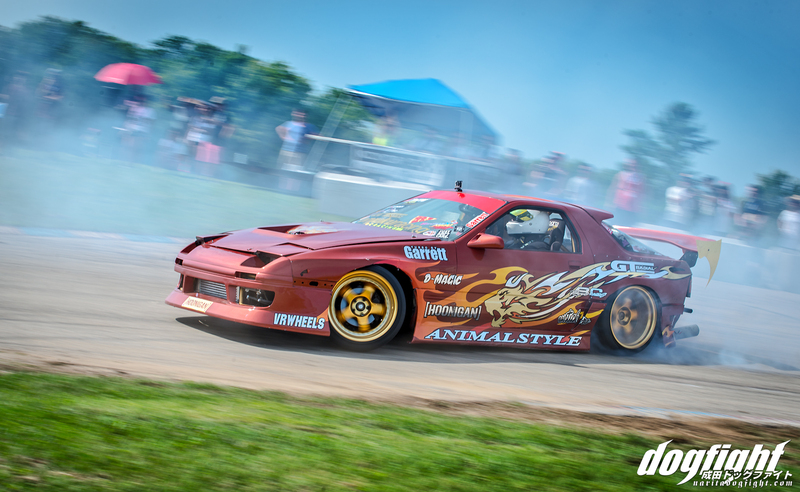 Team Animal Style, hailing from Northern California, was one of the crowd favorites for sure. Drivers Julian and Ryan had some insanely magical livery going on; I can only imagine how on point the cars would look if the entire team was done in that fashion. 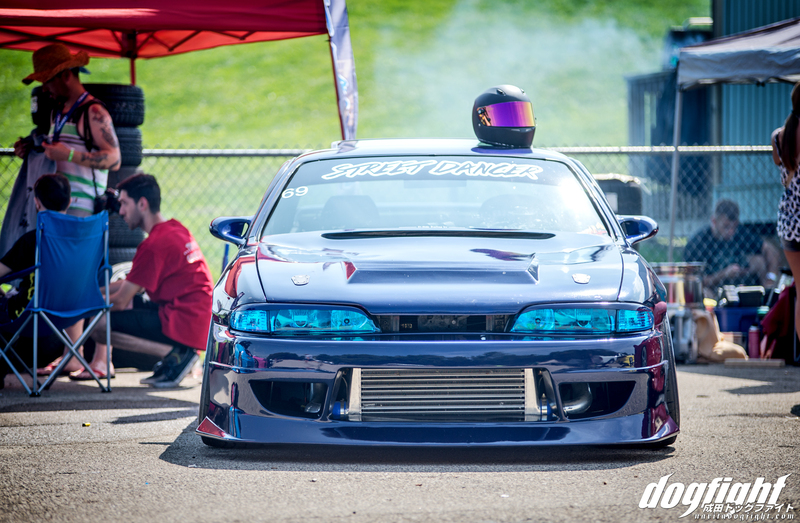 Another driver I had the pleasure of meeting was Ben, who owns and drives this Silvia from Tracker. Really good looking car, and the dude could drive very well. We chatted for a good bit as he is going to Japan towards the end of the year for the first time. Enjoy man! Chob’s GS from Team Proceed; no introductions needed I’m sure. 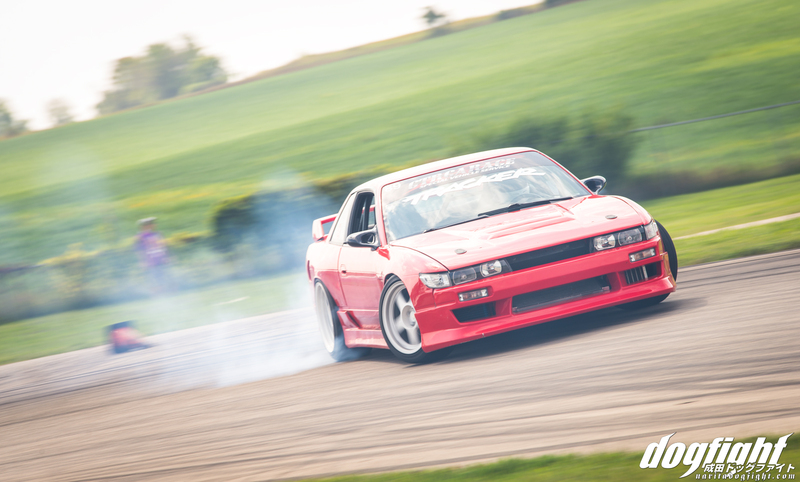 Josh’s RHD 180 powering out of the last right hander. 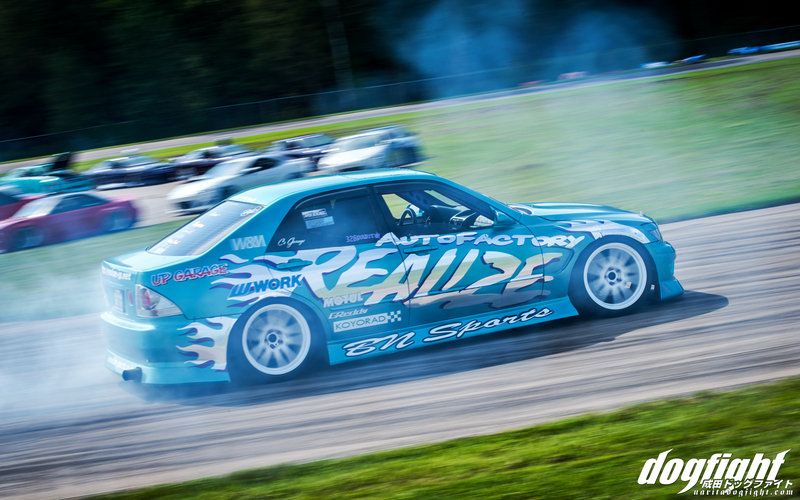 Derek of Breaking in his FD headed into the judged portion of the course. 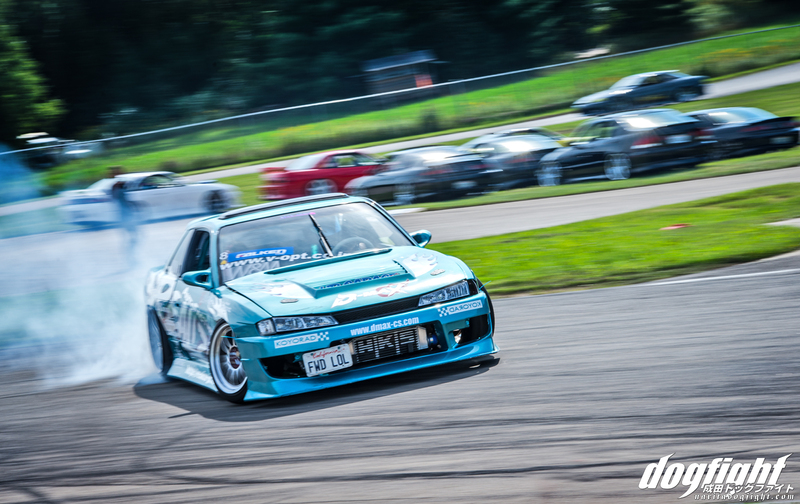 I have quite a few shots of this car, as I really liked the look. Team Faction was doing very well all weekend, and took a spot in the top 3. High Fade, winners of the last Final Bout, were ripping it up again this time. Their V8 powered cars were among the loudest on track. One of the Heat Bloom cars from Alberta. 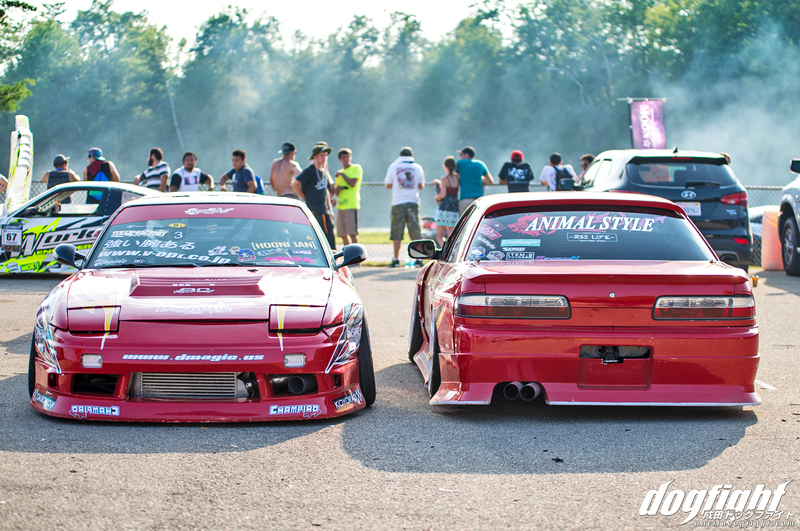 These guys made it to the top 3, and ended up taking 2nd place overall. I gotta run, but stick around for the second part of our Final Bout coverage. 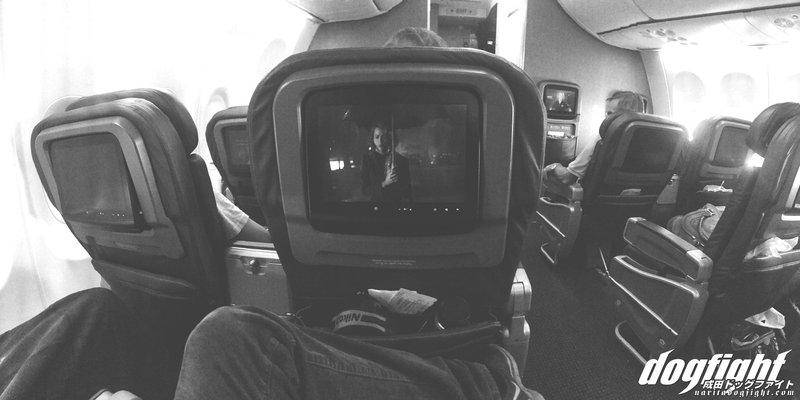 I know this one was a bit wordy, but I had a lot on airplanes this week. 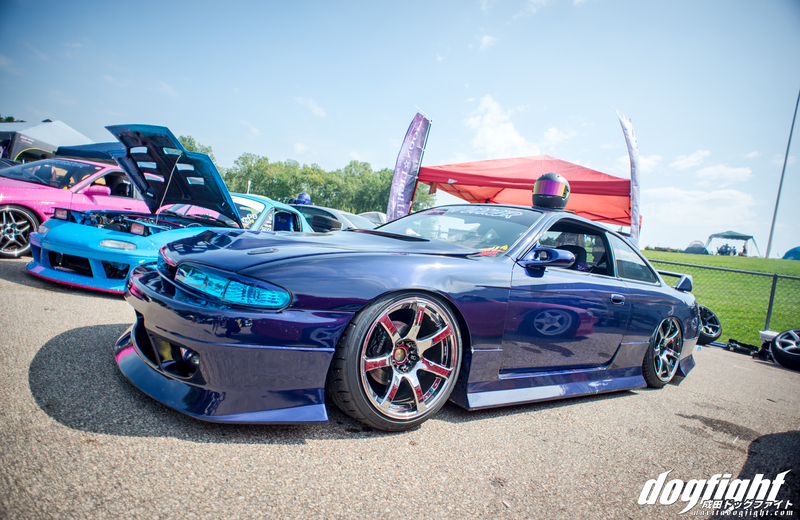 Blue S14 is owned by a dude named Steve. Heat bloom second place, we took third! Awesome post though! Love this blog and the podcast. My first time coming across it. Green Bay isn’t all bad, just a lot smaller than Chicago (which I’m sure you noticed). Packers/Bears have a long rivalry so there is some animosity between both cities. Anyway, awesome post with great insight as to why this event is so cool!